Check out Heather’s interview on BuddyTV. So how’d you guys like America’s Next Top Model last night? I have to say I was disappointed to see Heather go home, but I wasn’t too suprised. The last couple of weeks she seemed to be melting down. (Or was at least edited that way.) I was also find it ironic that her and Jenah were the ones in the bottom two, and for basically the same reason: COMMUNICATION. Heather’s was not entirely her fault, whereas Jenah’s was. Jenah is all arrogance lately, and it’s becomming quite unattractive. Let’s put it this way… when Nigel starts thinking you’re ugly on the inside, it’s time to change your tune. Maybe the bottom two position will give her a wake up call. She’s definitely got a jealous streak for Saliesha… what is that about? Anyways, got a quick post on this, but I’ll write on the eppy later. In the meantime, who do you think will go next??? Well, looks like the Bostonian was right, and poor healthy normal lovely Sarah was the one that went home. There are a few things that piss me off about this episode. First, that they have made such a huge deal about Sarah losing weight, and then… that they have a model pass out because (DAH) she hadn’t eaten anything in like 20 hours. I’ll have more to say on that later. For now, let’s do a recap, shall we? No one is prettier than Enrique. Not you. Not Tyra. Not even Tyson Beckford. As per usual, most of the girls looked positively stiff and odd throughout the video. Heather, surprisingly, really pulled off the weird & intense vampire look. But this thing about her not eating for a zillion hours… For some reason, I gave her more credit than that. I was starting to buy into the whole “I have Asberger’s but want to be a role model for girls”…. And that wasn’t even MENTIONED in panel! WTF? I do like how Chantal noticed Heather getting some prime camera time then and went over to tell her “how worried” they were about her. Another odd thing was that Tyra hyped this whole “Bodyville” thing and then it was like two seconds in the episode. She spends an entire week talking about body image and then just shows us models slithering up and down a wall? Which brings me to another point: Why the heck couldn’t Lisa make it back up the wall with her leg strength? She was a stripper, for pete’s sake. Don’t they kind of need their… ahem… muscle strength for certain things? I’m not bothered at all by Bianca and her jealousy of Heather. Here’s the thing, sometimes I agree with Bianca. I think they are over-kind to her at times (at times, mind you) like for example when she doesn’t eat and causes a video shoot to stop completely and then they don’t even say anything to her. You know if Bianca (or let’s face it, Chantal) had pulled that stunt Tyra’d be all over their behinds. The whole episode was wacky right to the end. I see most of my predictions yesterday were off. Like I predicted Jenah would be in the bottom two. But she was close! She did horrible. And was it just me, or did she look BUCK-TOOTHED in the video? I said Ambreal would be great – I thought she was but TyTy thought she was “too hoochie.” And Tyra knows hoochie far better than I do, so I’ll give her that. I said Chantal would be great -and she totally wasn’t. I said Heather might struggle and she did with the whole crawling along the wall deal. 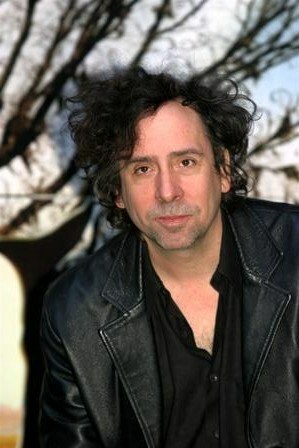 And btw, what is the deal with Tyra saying Heather has a “Tim Burton-esque” sexuality? I was right with Saliesha pulling it out, and I was right that Sarah would work her bod and look great. She did. Even the judges thought so. But she eats (probably every day or so) and we can’t have that in the modeling world. Not, apparently, even in Tyra’s modeling world. I said Lisa would over-think everything but she didn’t. I did, however, hit it right on the head with Bianca when I said “She’ll end up looking like she’s ready to rumble.” So okay – not too bad. I’ll be curious to see what Sarah has to say now that she’s off the show. In any event, here’s the Enrique video (with models) if you’d like to check it out. How Much Do You Know About Asperger’s? Asperger’s Syndrome has been talked about more lately because of Heather of America’s Next Top Model. I came across this quiz in the health blogs here at WordPress…. and thought I’d link to see how much we all know about the subject. Did you find anything that suprised you?